Thomas Eareckson died of pneumonia. 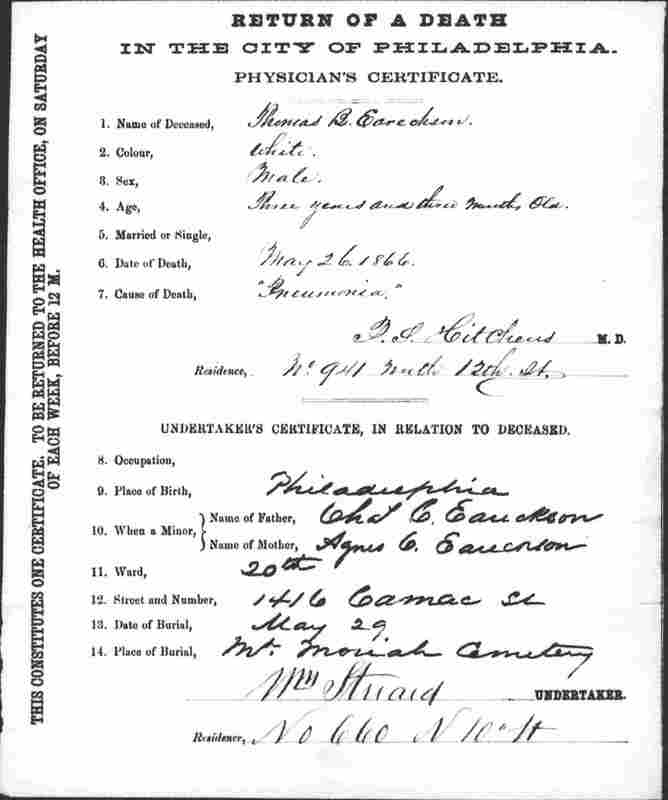 His Philadelphia death certificate was incorrectly transcribed: his name is listed as Phineas B Earechson, when the first letter is clearly a 'T', and his age is listed as 33 when it clearly says three years and three months old. [S389] Philadelphia, Pennsylvania, Death Certificates Index, 1803-1915, (Name: FamilySearch.org;), Record for Thomas B. Eareckson; FamilySearch; Digital Folder Number	004010037, image 623 of 1228.